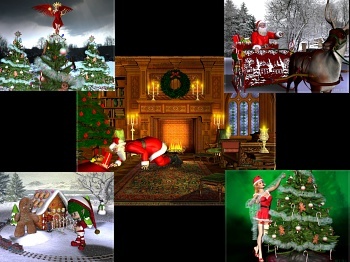 Twelve 3D images of Santa, Angels, and Elves. Various images of Christmas. Optional music is "Chestnuts Roasting on an Open Fire". Download Free Wallpaper from this screensaver. Images and Screensaver copyright, ART-TLC ©.